Unique and sophisticated, this beautiful sterling silver bracelet is a charming gift for any friend. Features a rose gold plated heart charm and an adjustable fastening. 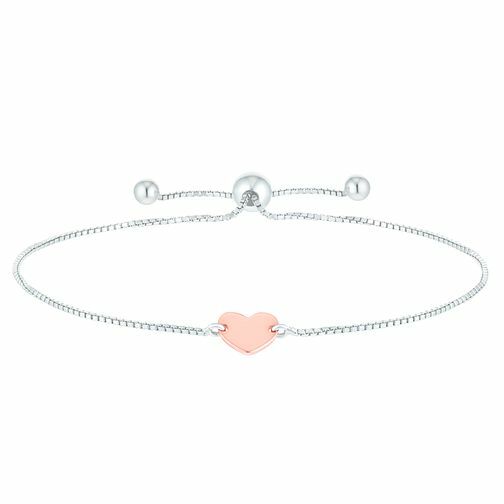 Rose Gold Plated Silver Adjustable Heart Bracelet is rated 4.7 out of 5 by 3. Rated 5 out of 5 by Anonymous from Bolo bracelet I also have the silver one and wear both together and they look brilliant. They’re so light that you don’t even feel them. I just wish they did them in yellow gold too.